It's been quite a while since I posted in my blog but this seems a very appropriate time to do so. One hundred years ago tomorrow, the first day of July 1916, the upper reaches of the River Somme in northern France saw the start of the Battle of the Somme. 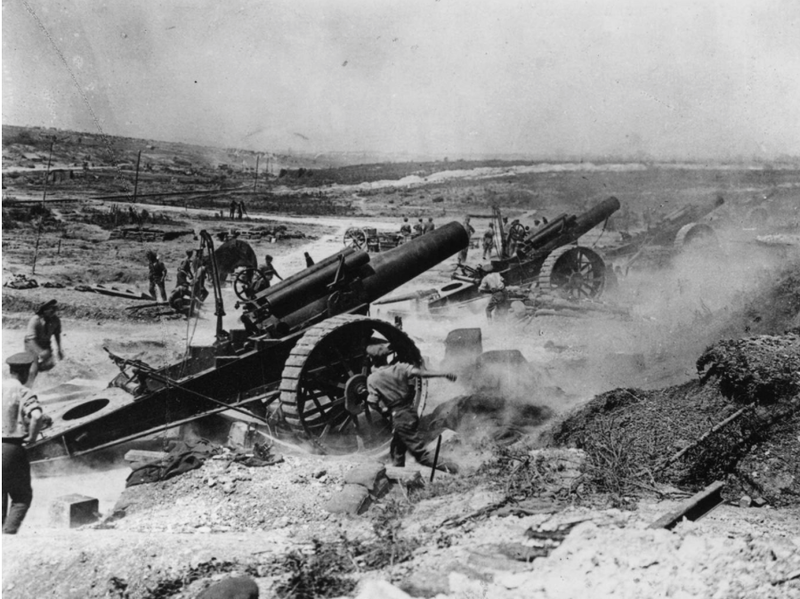 Also known as the ‘Somme Offensive’, the armies of the French and British Empires fought from the 1st of July for the next 141 days against the army of the German Empire. 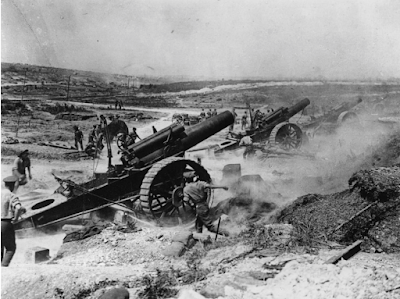 It was to be the largest battle of the First World War on the Western Front and, with more than a million men wounded or killed, was one of the bloodiest battles in human history. The article then goes on to describe the rare personal account from an ordinary soldier, as described by Hutchinson in his diary, and I recommend that you read the article here. I never met any survivors from the Somme myself but, in our family, my father talked often, during our childhood and beyond, of an old soldier friend of his who had been sent to the Somme, survived and returned home to Ayrshire in the west of Scotland, a man whom he had befriended, ironically enough, following his own return to Scotland after his own National Service in 1958. Most of my immediate family hails from Ayrshire, and my father, sister and I were all born in Kilwinning. Before his period of National Service (in Centurion tank regiments in Germany as a gunner/ radio operator), Dad had worked on the Montgreenan estate (owned then by Lord Weir of Weir Pumps in Glasgow) near Kilwinning as an assistant gamekeeper, described as an under-keeper. By all accounts, he was great at the job, his boss, a lovely, calm, old gentleman of a gamekeeper called Donald Campbell, describing him as the best underkeeper he’d ever worked with. 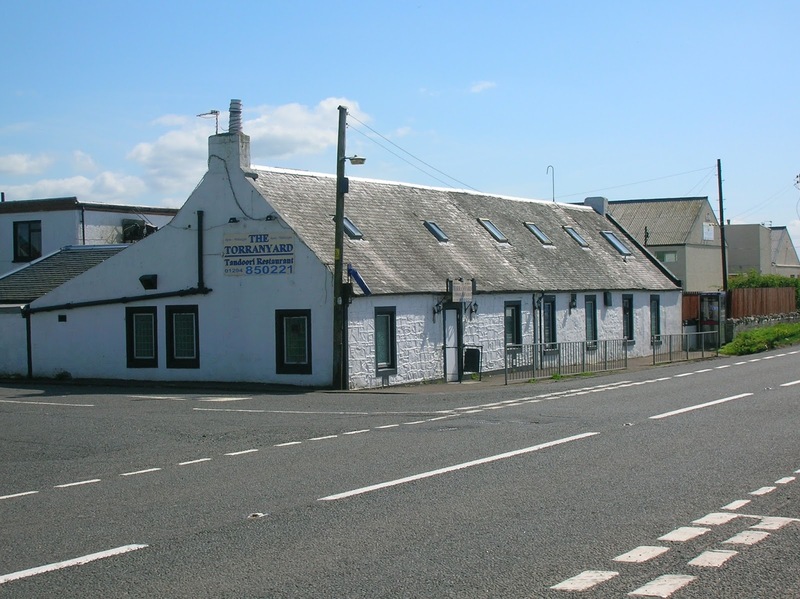 The local hostelry near the estate where he and his friends used to go for a pint or two after work or at the weekend was the Torranyard Inn (pictured below today in its current guise as a curry house). It was there he got to know an elderly, retired coal miner called William Grant, or Wull Grant, as he was known. Wull lived upstairs at the Torranyard Inn, in a room with no running water and no electricity, lit at night by paraffin lamps and with only an outside water closet (toilet). Dad said Wull had silken white hair and skin like a baby. But his skin was marked with blue where coal dust had been sealed into injuries picked up during his time in the mines. He wore a muffler (a woollen scarf) and an old light-checked Tweed suit and used to sit outside the back door of the pub in his bunnet (flat cap) with an old pair of binoculars. I have no doubt that this was probably what got Dad talking with him, as Dad was also a keen birdwatcher and they probably found common ground there. He was apparently one for the pithy phrase. He used to say (from no doubt bitter experience),"Hunger's guid [good] kitchen" and, on hearing a young man at the bar holding forth that '"Money isn't everything", Wull apparently replied "Aye son, but it's a handy thing to have when you go to buy a loaf"! That latter one passed into our family treasure trove of sayings, to be oft-repeated. I think I would have liked Wull! Over time, Wull shared with Dad that he had been at the Battle of the Somme. Dad couldn't remember the exact military unit that Wull had served in but it was a Scottish regiment, of which there were several present. Not only had Wull been a soldier there but he was a sniper and spent much of his time crawling around in No-Man's Land, looking for targets on the German side. He was out there on the first day of the battle, one hundred years ago tomorrow, and the crossfire across No-Man's Land was so heavy that, while crawling around on his front, he received two bullet holes through his water bottle (which would have been on his belt or webbing, worn at the back and, so, sticking up more than the rest of his body. There were probably few who had closer shaves that day than "Auld Wull Grant", as Dad often referred to him. He served throughout the Battle of the Somme. He told Dad that, once, he spent three days playing a deadly cat-and-mouse with a German sniper before Wull killed him. Although he returned home after the War, Dad said Wull's body was full of shrapnel from shell blasts out there between the trenches. I tell Wull's story today, not because it was exceptional. Of course it was exceptional, by the standards of our so-much safer, richer and more comfortable times. There would be countless exceptional stories of bravery, courage in the face of mind-numbing terror, of endurance in the appalling misery of the conditions in the trenches of the Somme, if only those stories had been or could be told. Rather, I tell Wull's story simply to honour the memory of an ordinary Scottish man caught up in the first dramatic waves of 20th Century history, dragged from a presumably hard and rather dangerous life as a Scottish coal miner in the Edwardian era to the battlefields of France, to the first major battle of modern, mechanised war, with tanks and aircraft for the first time, poison gas, trench warfare and who survived the battle and the war despite being a sniper, surely one of the most dangerous of all roles in that hellish trench war. Wull survived all of that, returned home to continue his life as a miner in Ayrshire and eventually retired to live above a pub in the most basic of conditions, whiling away his time sitting in the open air watching birds and chatting. Dad said that Wull passed away sometime in the 1960's, perhaps before I was born in the middle of that decade. Now my Dad is no longer with us and, as far as I know, the only people who know Wull's story are my brother, sister, mother and me. Maybe he has descendants. I don't know. Maybe there are other old men or women still alive who remember him and his story from evenings spent at the Torranyard in the late 1950's and early 1960's. I don't know. I regret that I have no photo of Wull. I have no idea if his military service record was one of the 2 million or so destroyed by fire during the London Blitz in World War Two. But I know he was my father's friend and we know a little of his story. And now you know a little of his story too. There will be a two minute silence tomorrow morning in the UK to honour those who fought at the Somme 100 years ago. Personally, I will be pausing to remember, as well as all those who fought and died on both sides, William Grant, Auld Wull, and my own Great Grandfather, two men loved and respected by my own father, and what they went through in the trenches of France and Gallipoli. Very touching and a heartfelt tribute to one of many ordinary men plucked from their small world and transplanted into the midst of a hell we can only wonder at today. As you know my Grandfather served beside yours in Gallipoli and then on to the Western front where he went over the top several times but lived, albeit badly damaged, to say absolutely nothing as was so common in those who endured such places. Like you I will remember him and others tomorrow, and be glad to do so, for their courage and sacrifice and for their wish to see a better world as a result. Very moving. I find that period of history fascinating, not least because it seems so distant, yet has only just passed from living memory. I also think that the leaders of today, often so keen on nationalistic rhetoric, should all spend a little time with old Wull. Hey Scotty, thanks for sharing that, what a wonderful post. I too have had a keen interest in what is ironically referred to as the Great War for many years, although I know the term refers to the scale of the conflict. It is hard to imagine how any soul endured such an experience with whit and sanity intact. I really enjoyed reading this, good to see you blogging again.